£5.49 | £ 3.66 | Add to..
Made from natural mineral salts. 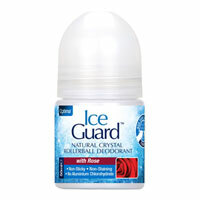 Optima Ice Guard Deodorants are made from natural mineral salts and therefore do not contain any perfumes, chemicals or any unnecessary additives. Their unique action eliminates odour by inhibiting bacteria and provides invisible protection all day long. 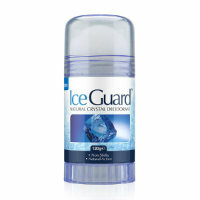 Ice Guard Deodorant does not block the pores and leaves no sticky or oily residue, which means no annoying white marks. Paraben, Aluminum, Zirconium and Aluminium Chlorohydrate free.